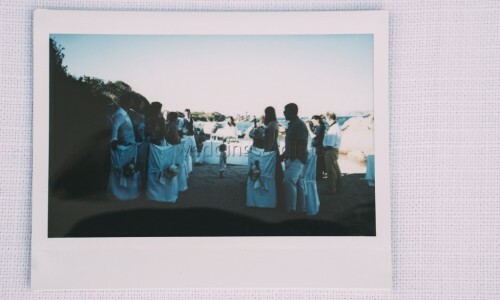 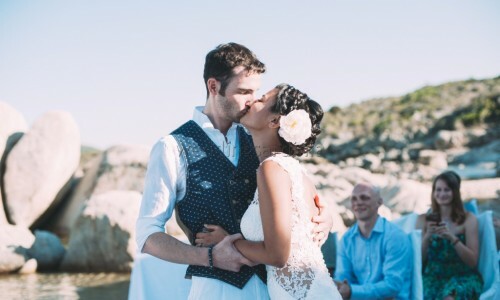 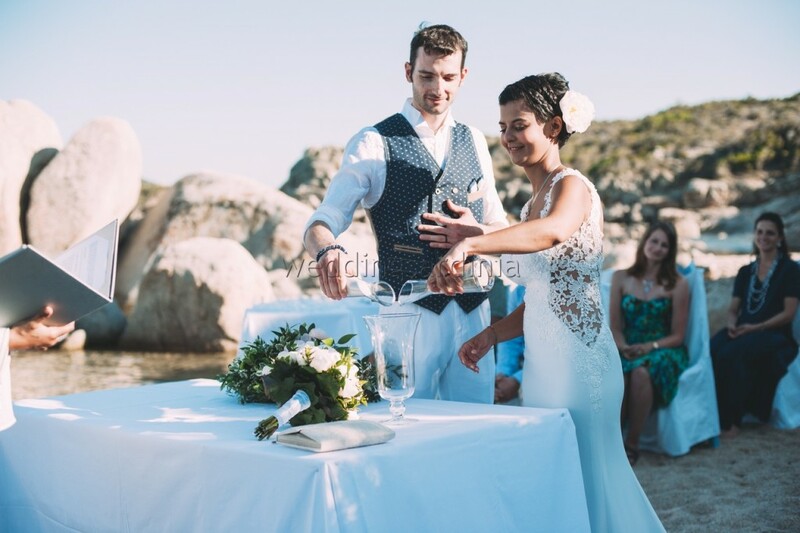 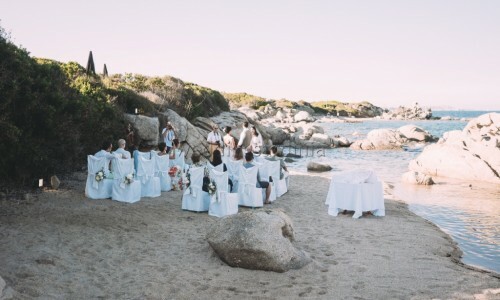 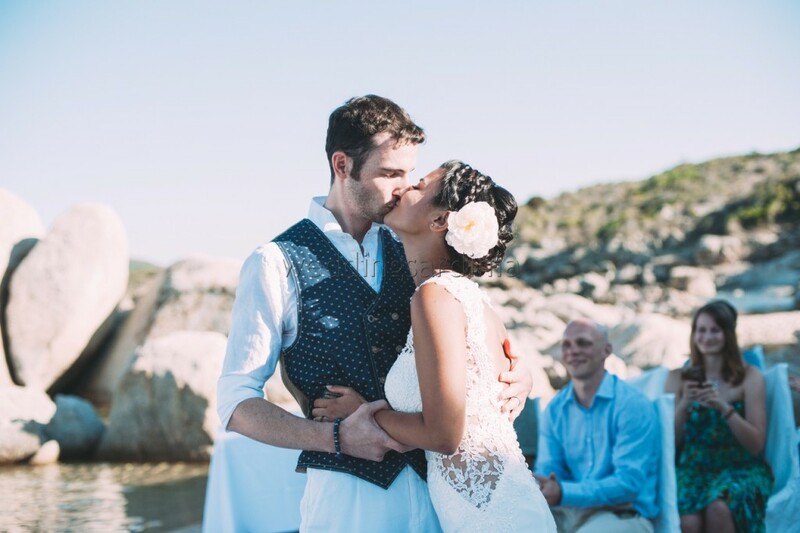 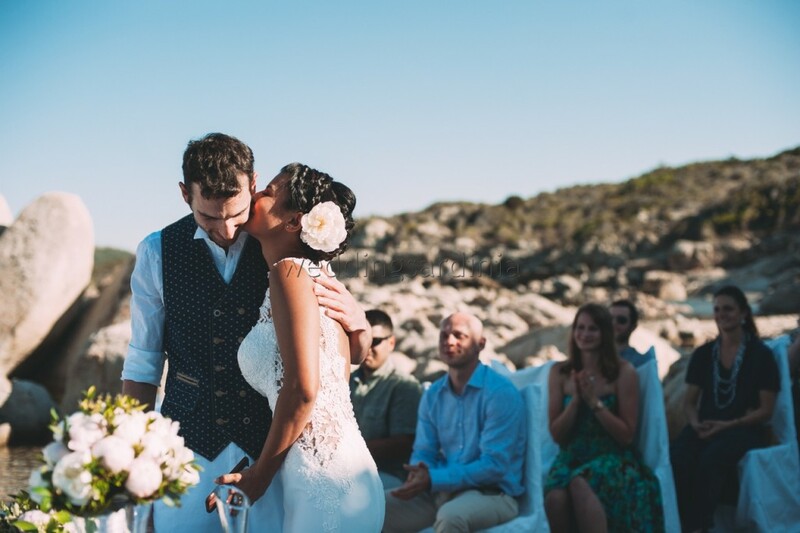 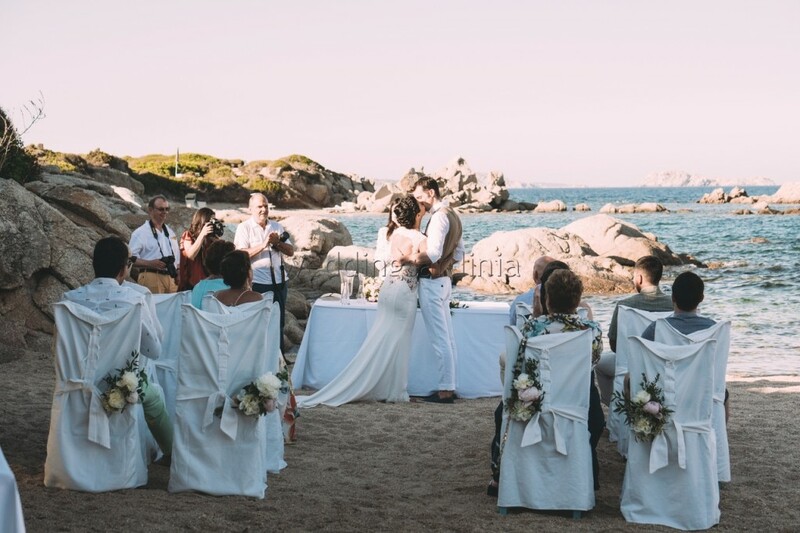 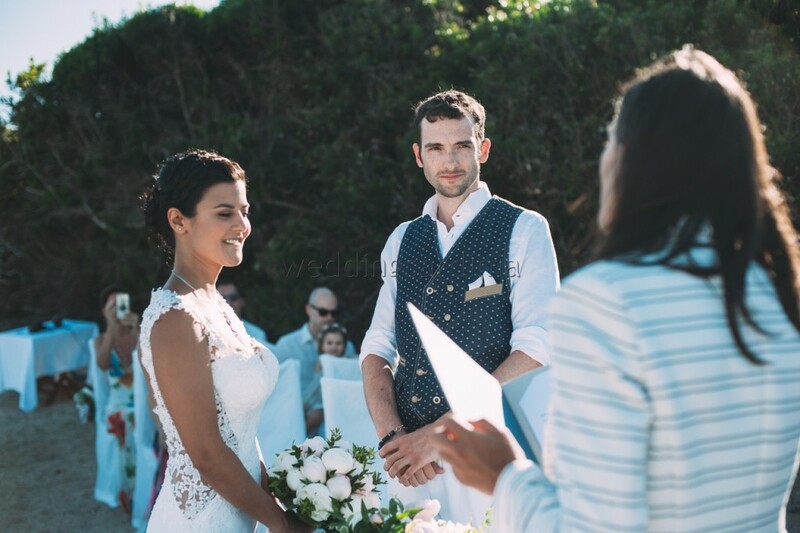 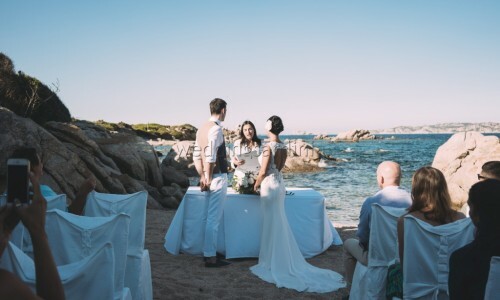 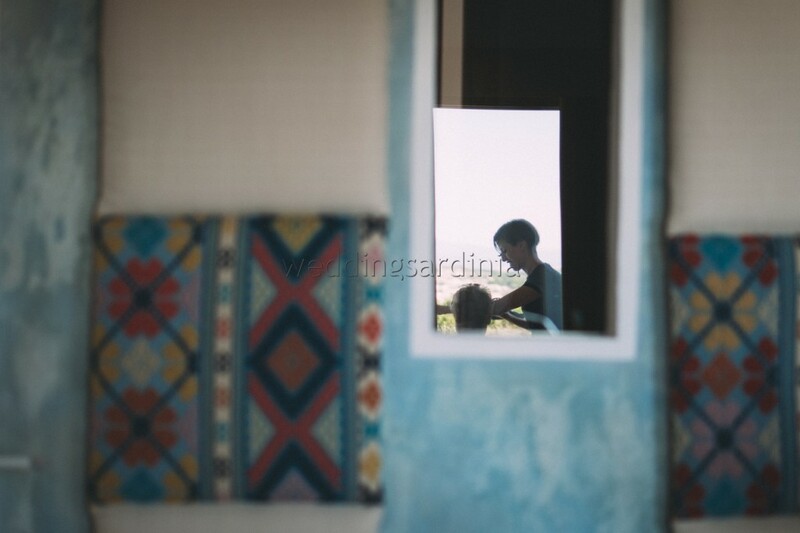 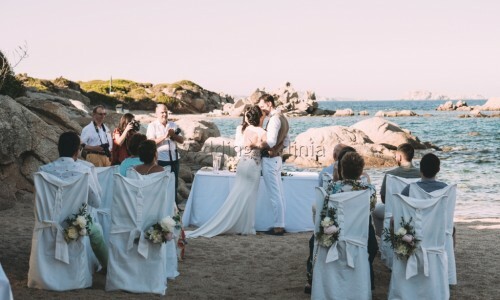 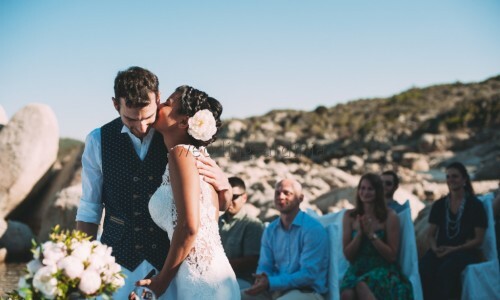 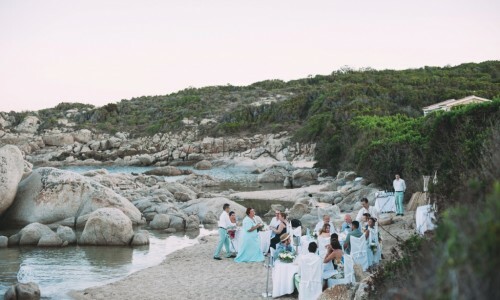 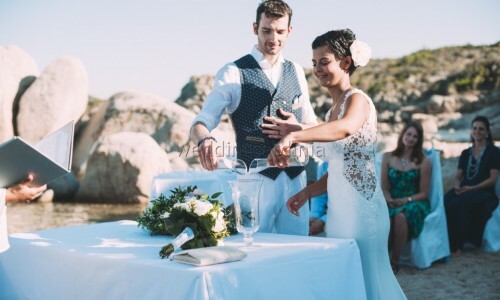 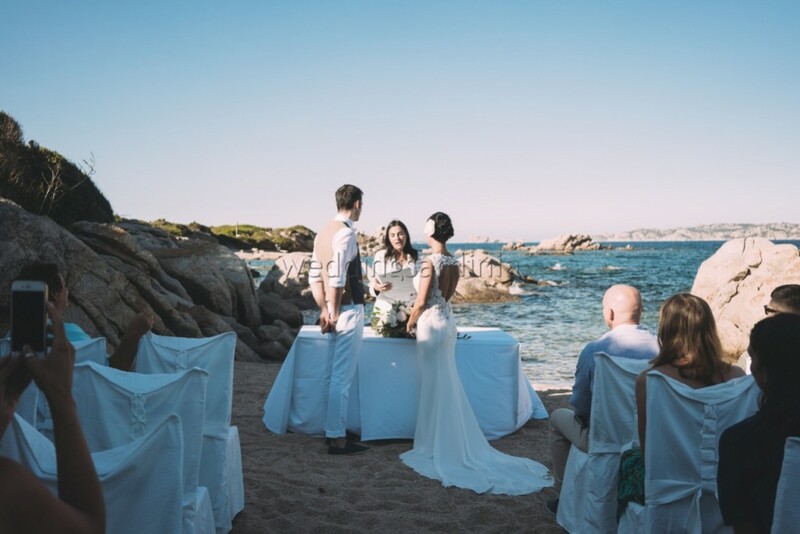 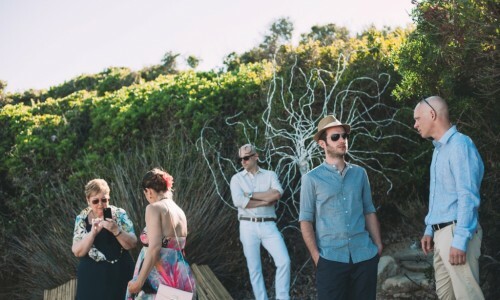 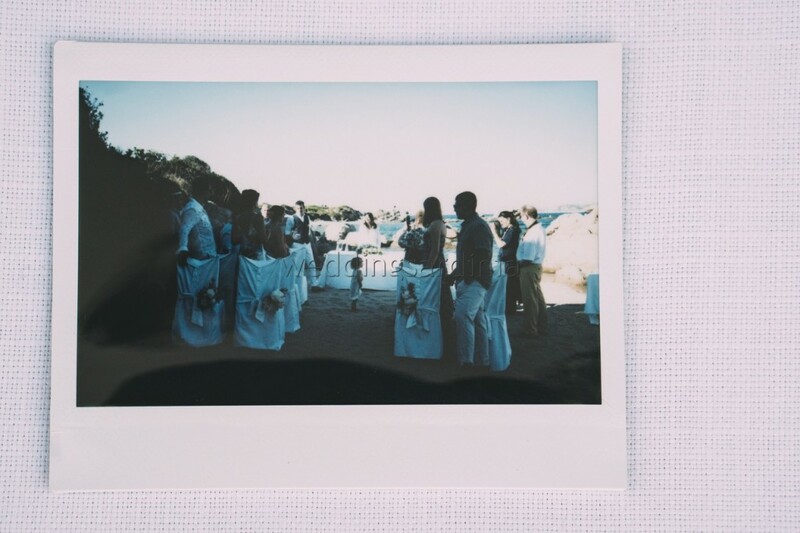 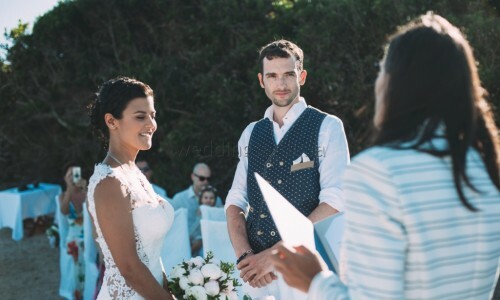 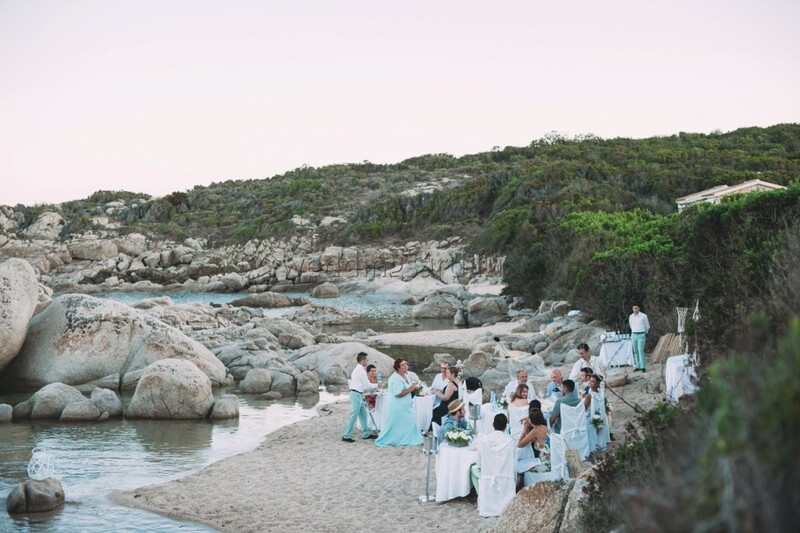 Valentina and Daniele had only a request, getting married in a small private beach with their families. 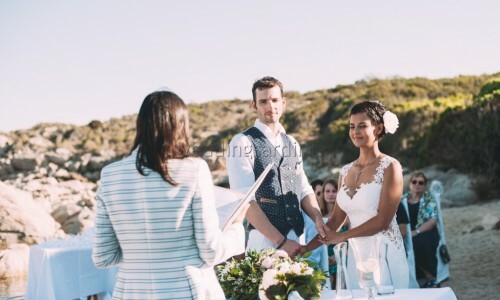 And we made their dream come true! 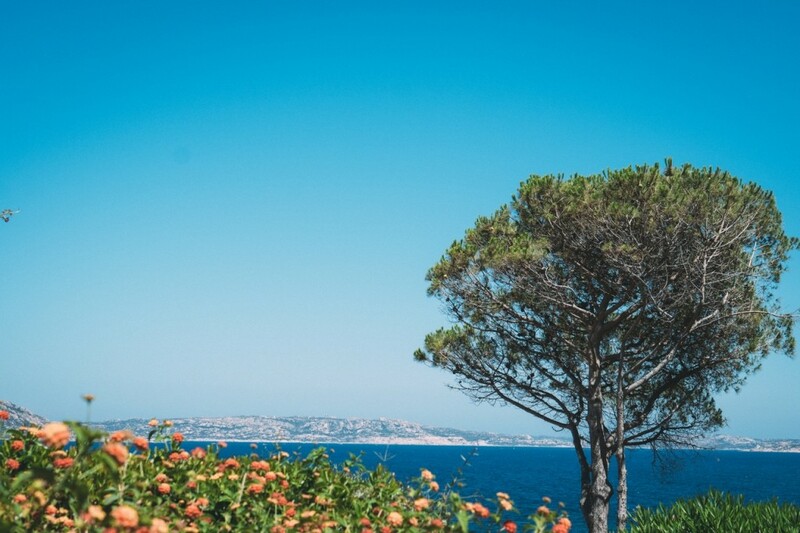 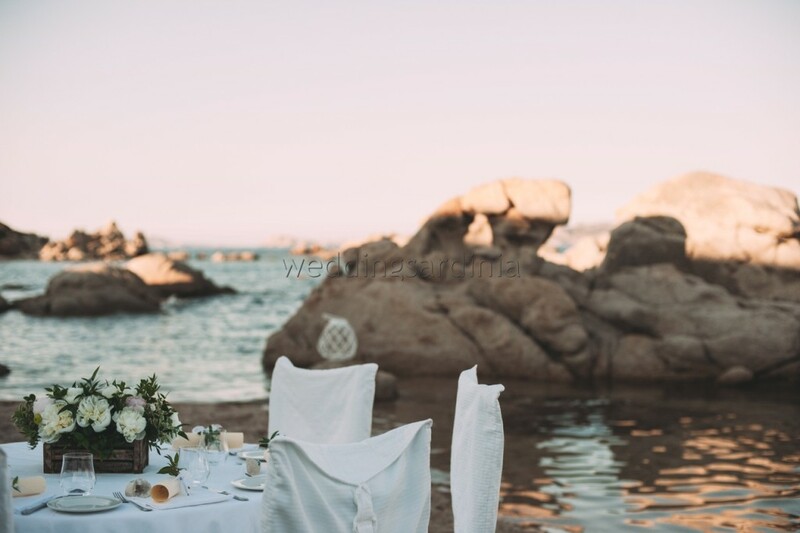 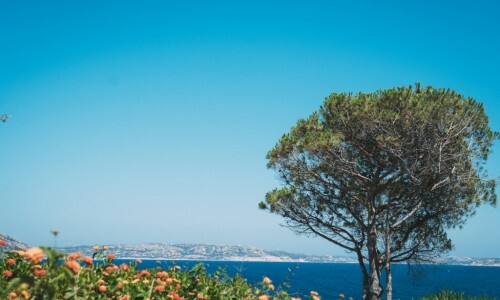 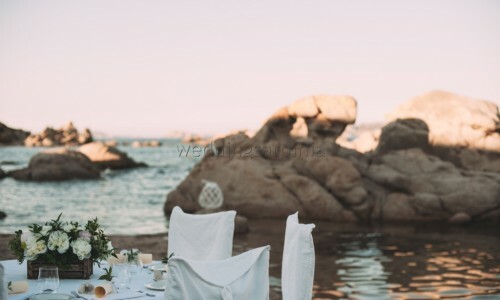 We select for them an exclusive hotel settled amid the lush mediterranean vegetation and with private access to a small bay sourrended by the famous rocks of the Emerald Coast. 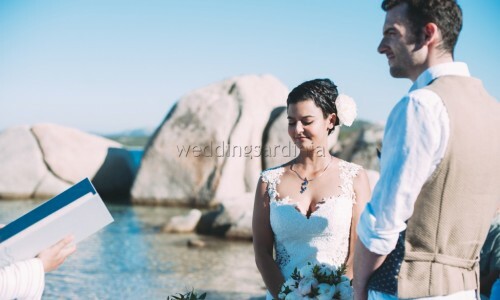 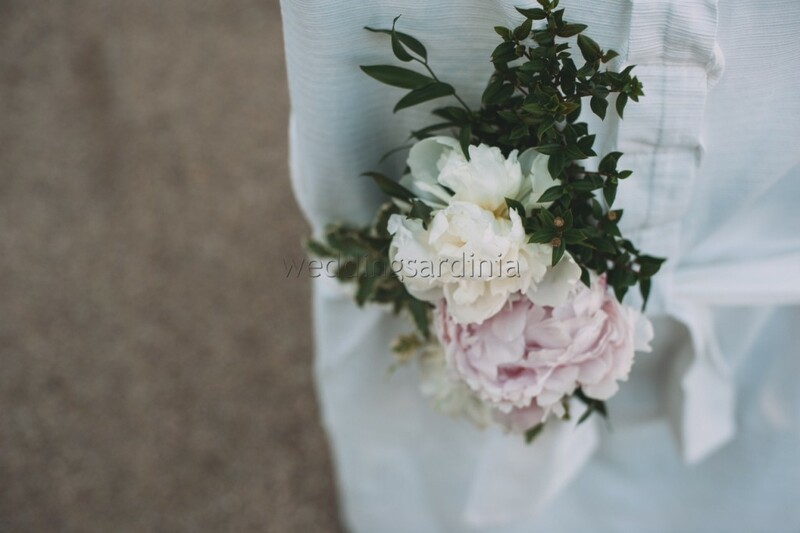 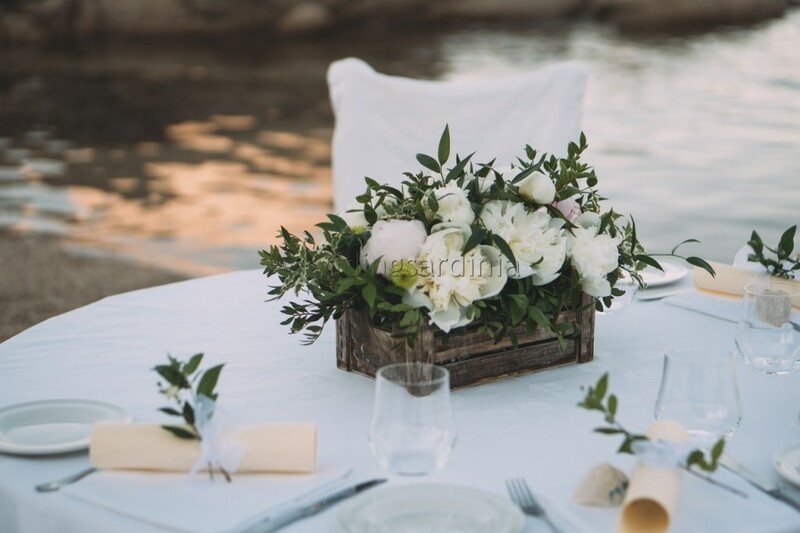 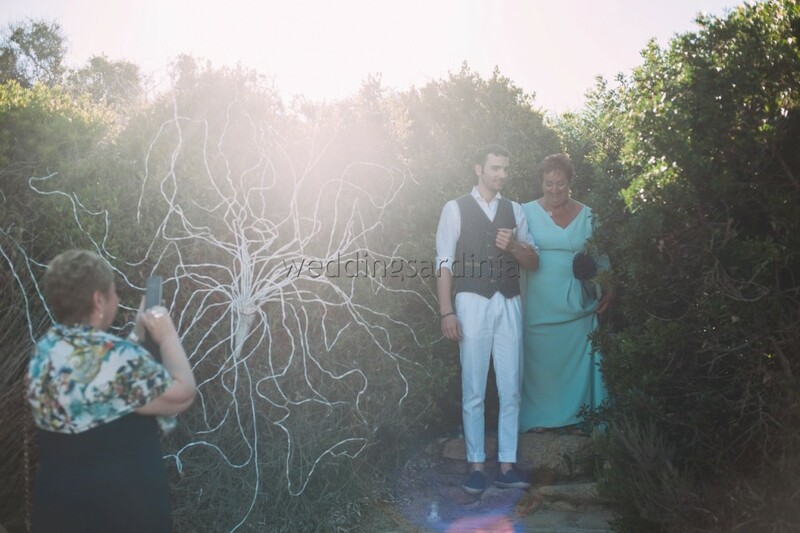 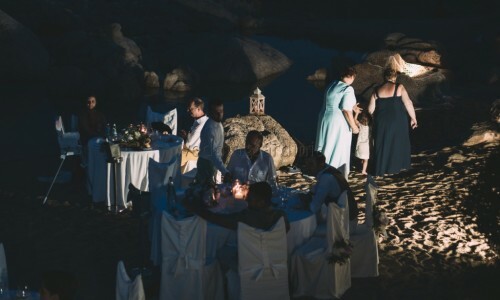 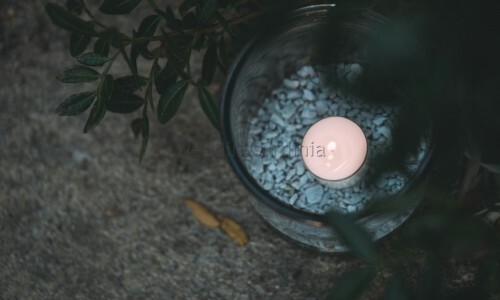 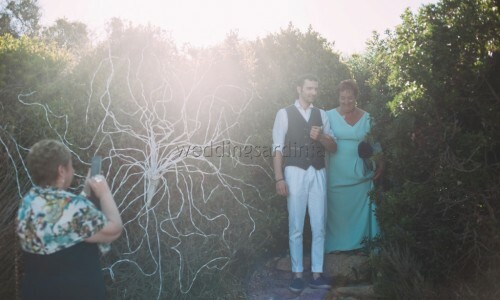 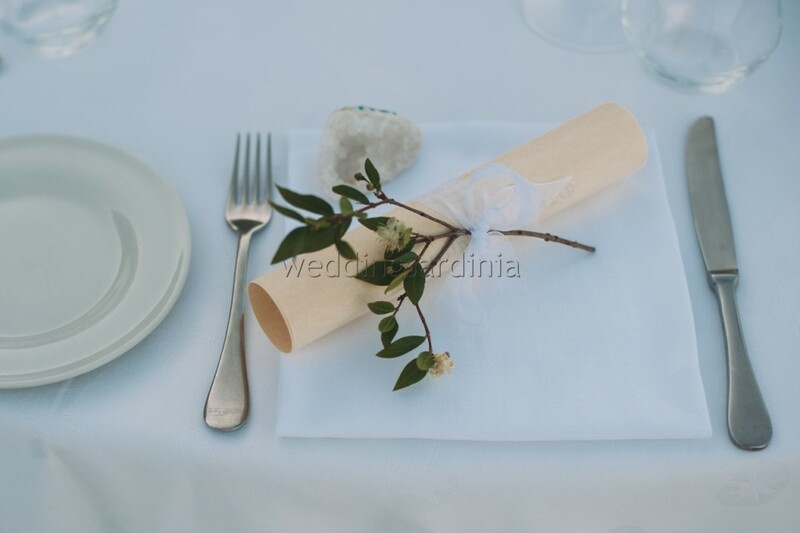 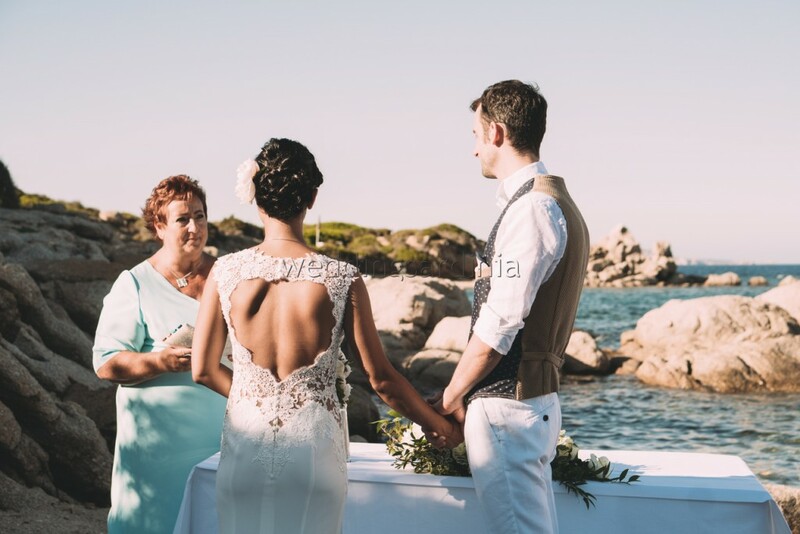 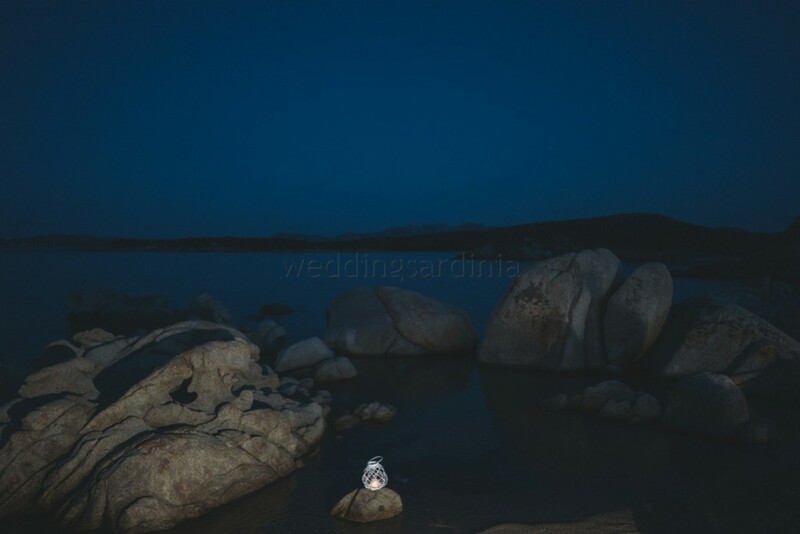 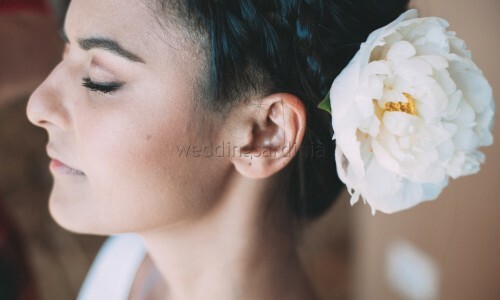 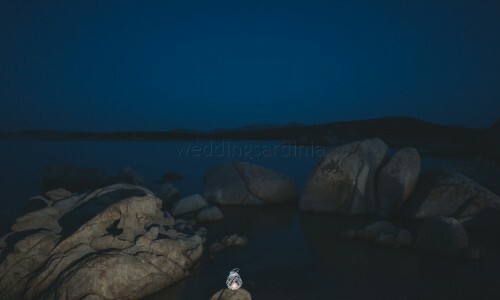 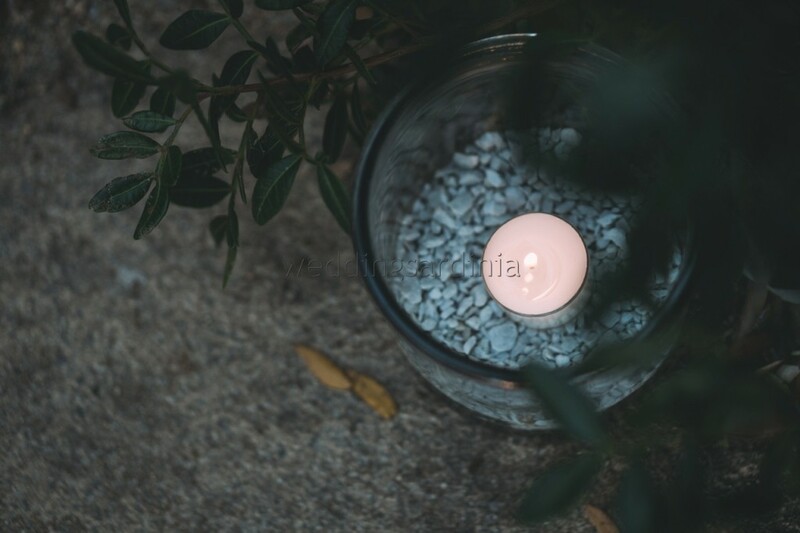 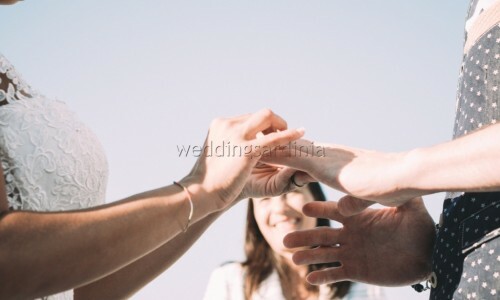 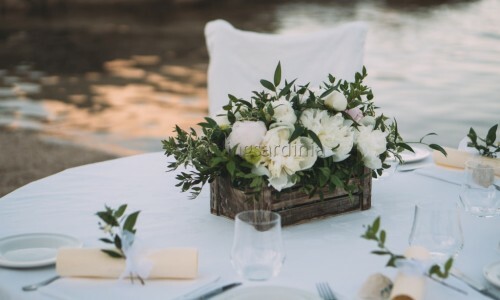 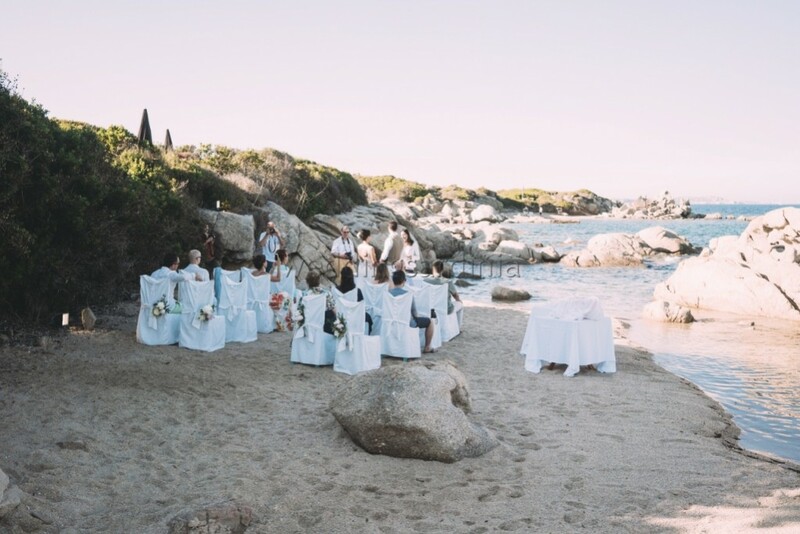 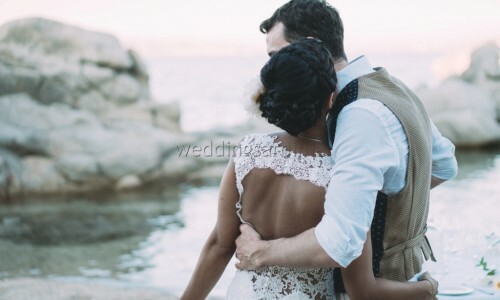 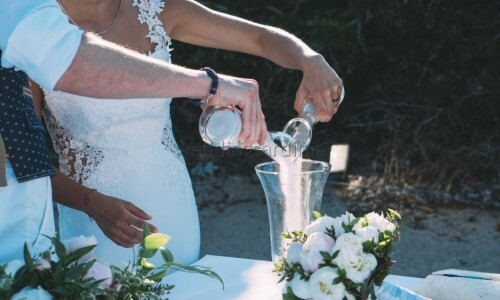 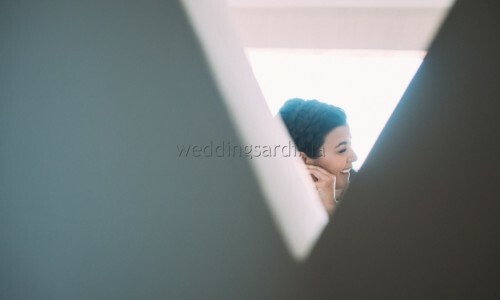 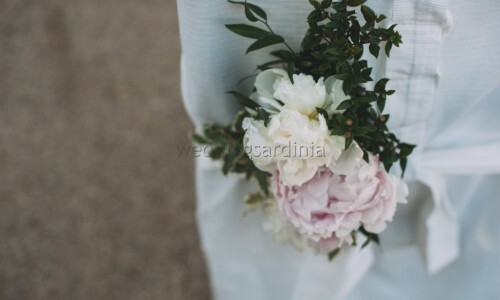 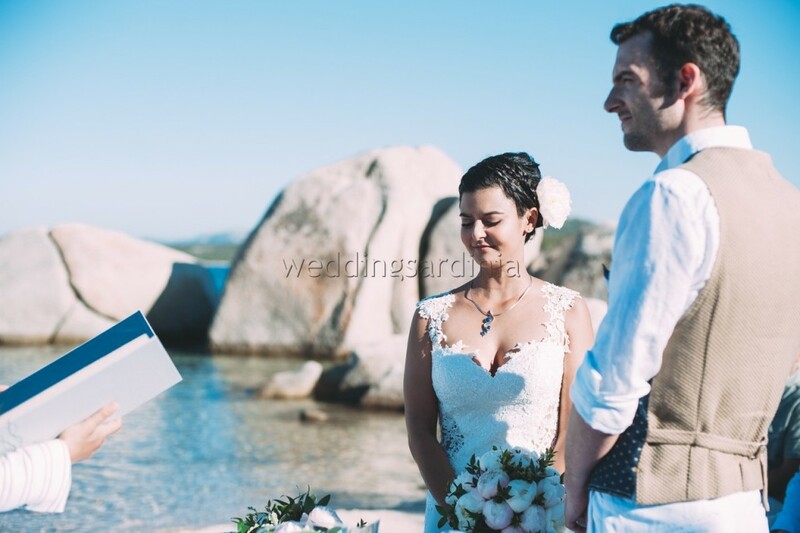 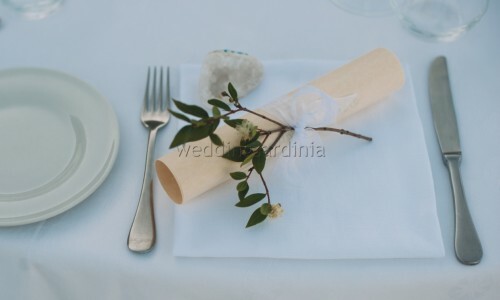 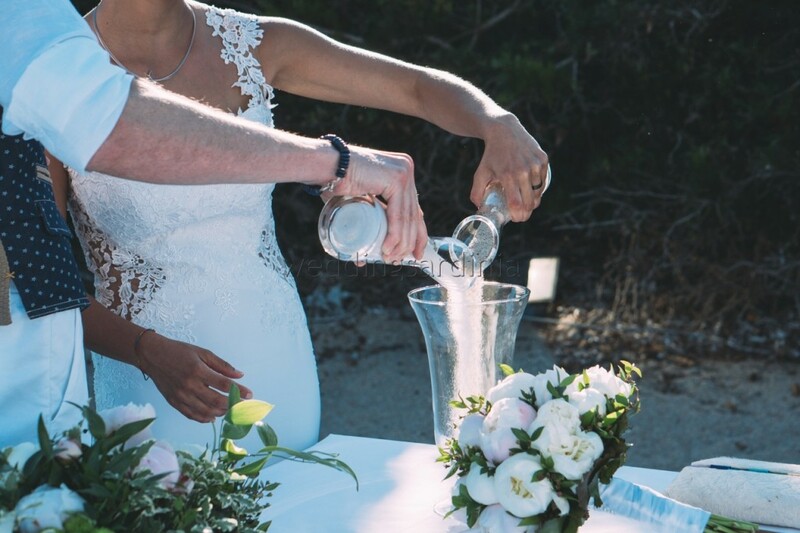 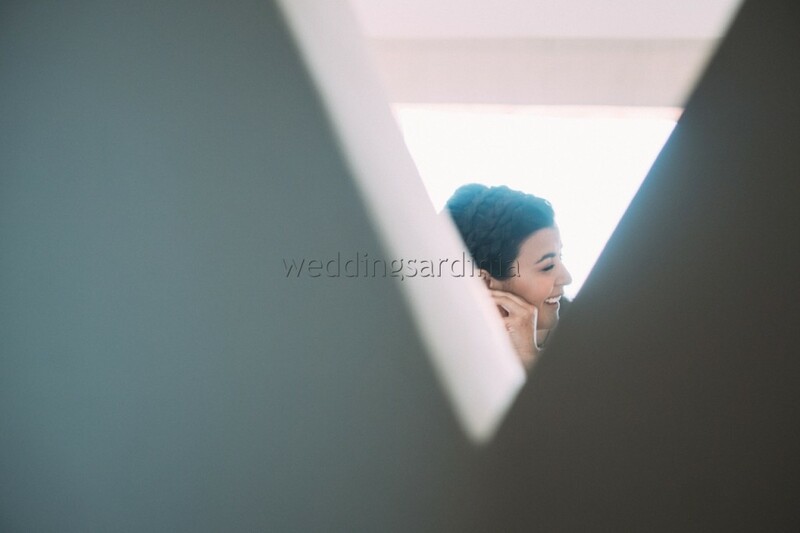 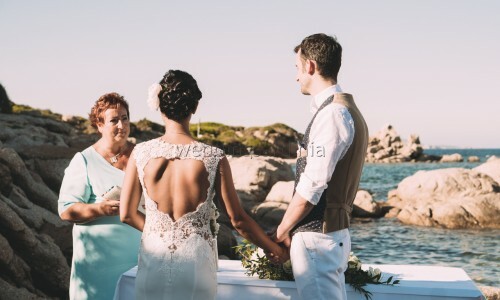 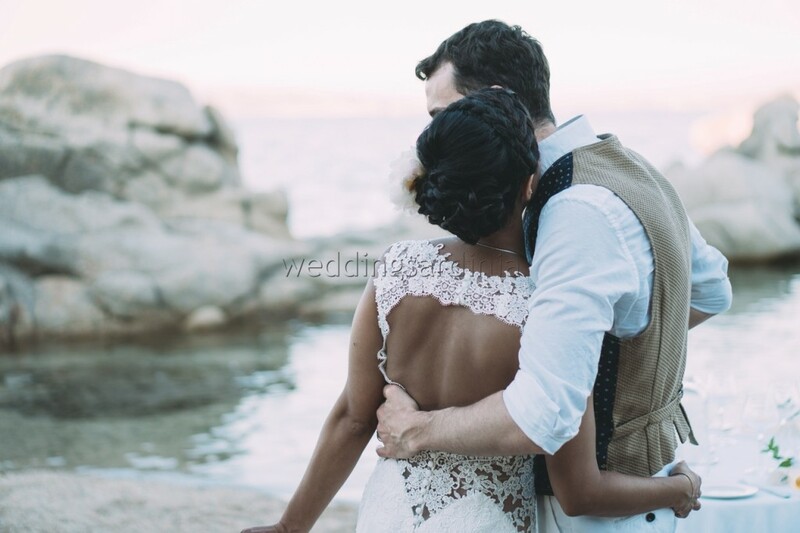 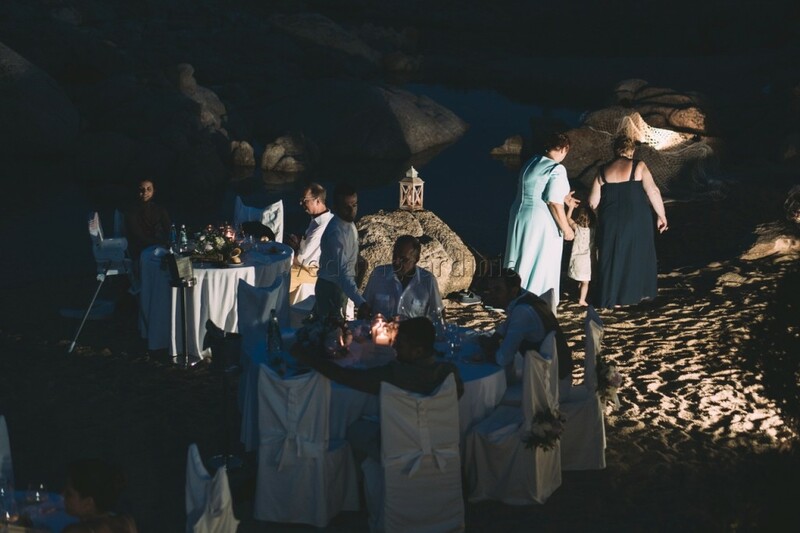 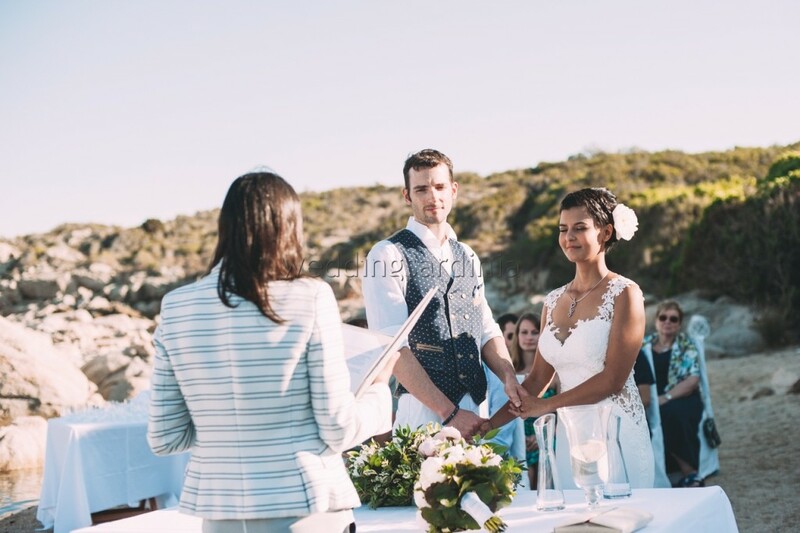 The wedding celebrations started with a romantic symbolic ceremony at sunset celebrated by a Humanist Celebrant and with the special partecipation of the groom’s mother. 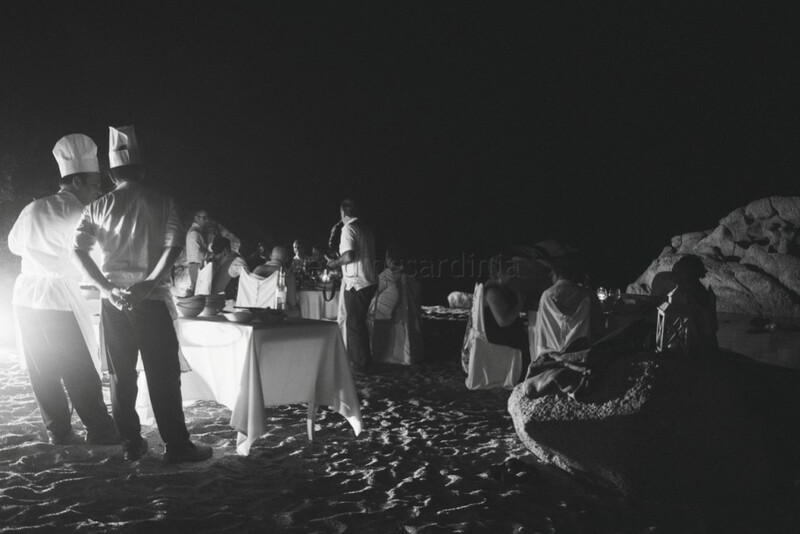 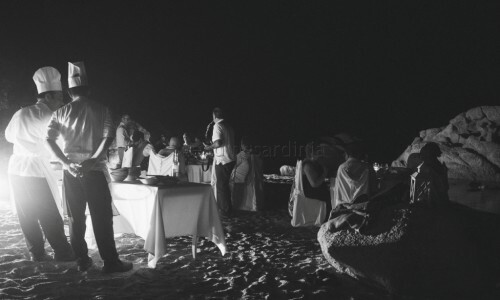 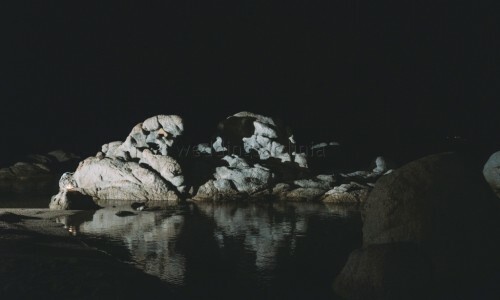 After a set of photos on the beach, the small group enjoyed an elegant sit down dinner on the sand lit by candles and the moon. 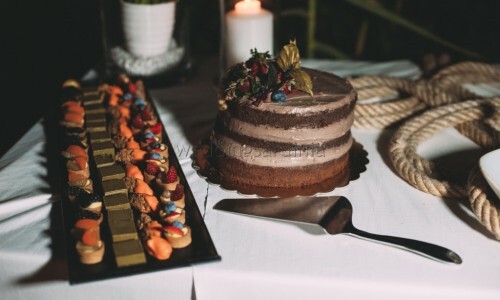 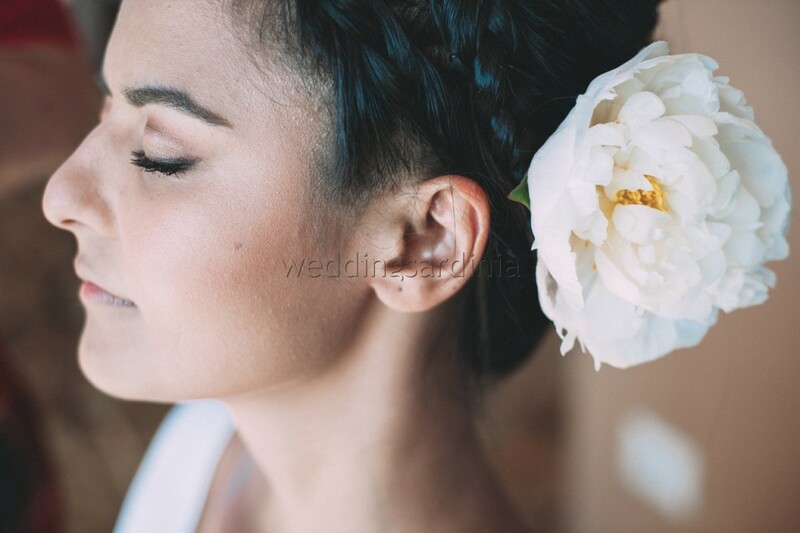 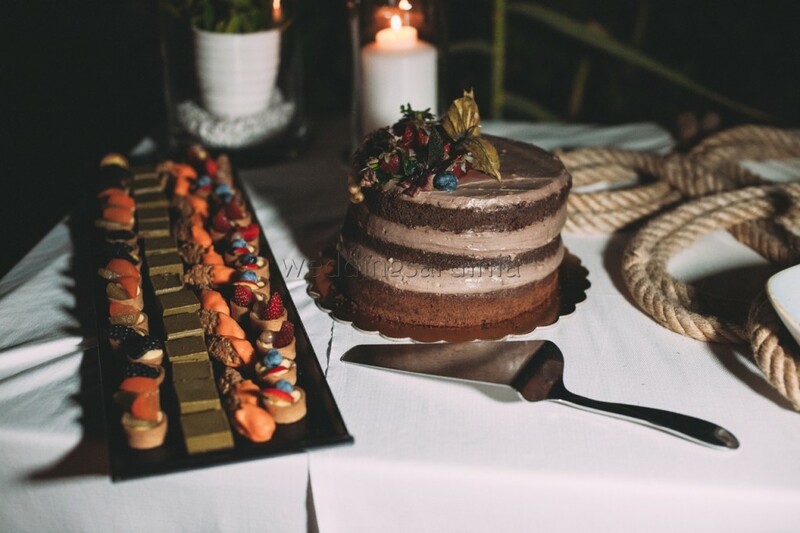 Soft music and a rich buffet of desser made the rest for an unforgettable wedding day.